Does anyone have any information on how this works? caspercody wrote: Does anyone have any information on how this works? Same as ISP Decimator G-string does. In the Youtube videos of comparing the two, the Zuul seems better at reducing noise. I thought he must have been using an optofet, but people are still complaining about ground loops so I guess not. Optical wrote: I thought he must have been using an optofet, but people are still complaining about ground loops so I guess not. the isp g string is a killer circuit if ya use it right. its the ONLY noise gate i've ever found ya can put first in line... even before a ge fuzzface. never had any issues with ground loops or anything at all, but i built mine from a pcb i got from eufx or something like that. Well I think the Zuul is now DIY available https://www.pedalpcb.com/product/muzzle/ . Curious how this compares to the decimator. I only glanced at the two but it looks allot like the gate in the Marshall 2203KK Kerry King signature JCM800. I did buy the PCB from Pedal PCB, and it works great. Question about the key input. Should I use a buffered input to the key? 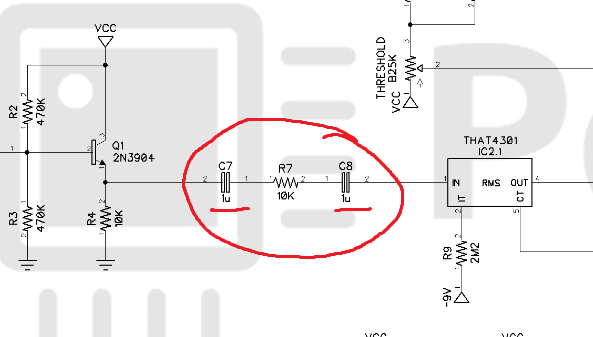 I am making a splitter, and not sure if it is as easy as connecting (3) jacks together, or if I will need a buffer or signal booster on either of the (2) outputs? I was thinking the same thing. Maybe the KK gate, or the stock THAT app note. I have briefly seen the guts of a ZUUL, and they don't line up part wise. Caspercody! Do you know? Did you get a scheme with your board, or did you paint it by numbers? Paint it by numbers. He usually will have the build docs online which usually includes a schematic, I do not see it net. He also has the Fortin 33 board on his site. Yeah man. Music electronics is a wasteland of un-original copy cat bs. It's a shame. Fortin is one of my favorites too. I would love to see a unique circuit before Digital Modeling buries what could have been an amazing industry. Could do with ground loop isolation on the key input. I have the key input connected via a Suhr buffer, otherwise I get buzzing with the Zuul connected in the effects loop of my Hotone Heart Attack. Key output/pass-through would be nice too.. I bought and built the PCB from PedalPCB and for the key all you have is the tip connected to another switches tip on the jack. Wait, what's the point of doing this? but the capacitors on the PCB layout appears as foil capacitors. Last edited by Manfred on 21 Apr 2019, 21:41, edited 2 times in total.